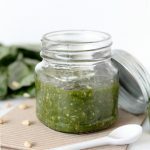 For some reason, recreating a paleo (or simply dairy-free) version of this herby sauce always seemed out of the realm of possibility when I first started cleaning up my diet. I mean, wasn’t that nutty, briny, salty parmesan the key to making a pesto pop? It’s just one component of the recipe but when there’s only 5 ingredients… well, could it really be done? I’m happy to report that the answer is a voracious, “Hell yeah!”. I can’t even tell the difference and you won’t be able to either. But I couldn’t simply just omit the parmesan (or pecorino), I needed to replace it with something else that would give me the same flavors. And with that thought process I came up with the ultimate… secret ingredient. It’s come to my attention that you guys love secret ingredients as illustrated by the popularity of my Pumpkin Pie Smoothie and Kale Pizza Chips. What’s not to love, right? Without further adieu I bring you the secret ingredient in my paleo pesto… salted cashews! Yep. Saltiness? Check! Nuttiness? Check! Creamy, sweetness? Check and check! And there you have it folks, the secret to making a dairy-free pesto (that’s also Whole30 compliant) taste just like the real thing. I’m pretty sure Padma and even Giada wouldn’t notice. 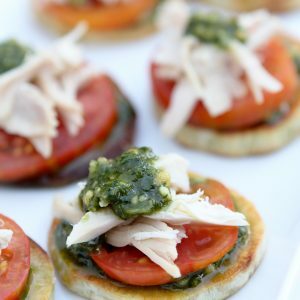 If you’re looking for something yummy to make with this I’d recommend my Sweet Potato Chicken + Pesto Bites (that will be added later this week). 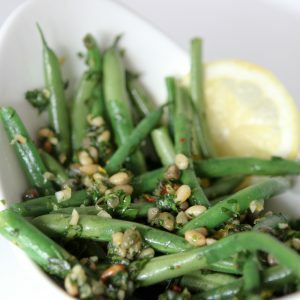 I also frequently add this recipe to my eggs in the morning or use it to dip fresh cut veggies in at lunch. 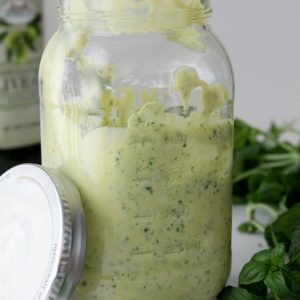 And for the true pesto lovers, I even have a Pesto Mayo that’s sure to knock your socks off. Enjoy getting your newest favorite condiment on my friends! 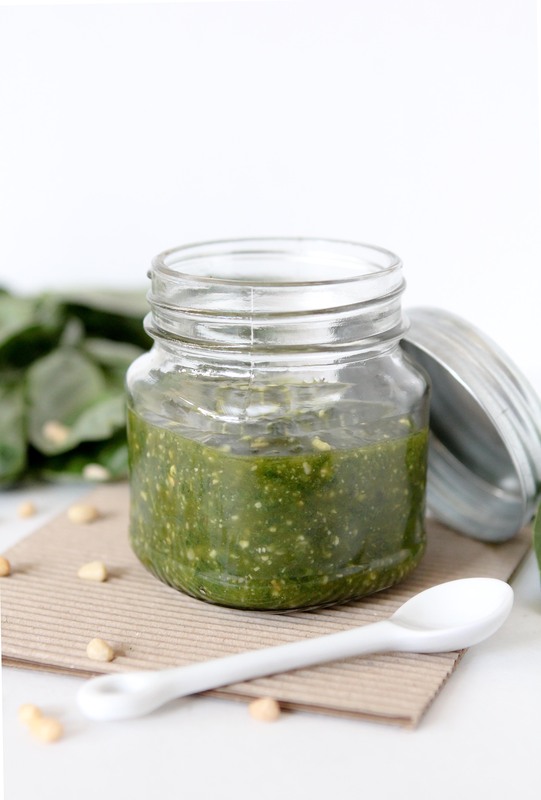 A dairy-free, Whole30 compliant pesto. Add all ingredients into a blender and pulse until combined. Not too chunky and not too smooth. How long will this last in the fridge for? Looks fabulous! Hi, do you use fresh basil? Hi! Where do you find salted cashews that are W30 compliant? The ones I find have peanut oil or another non-compliant oil.